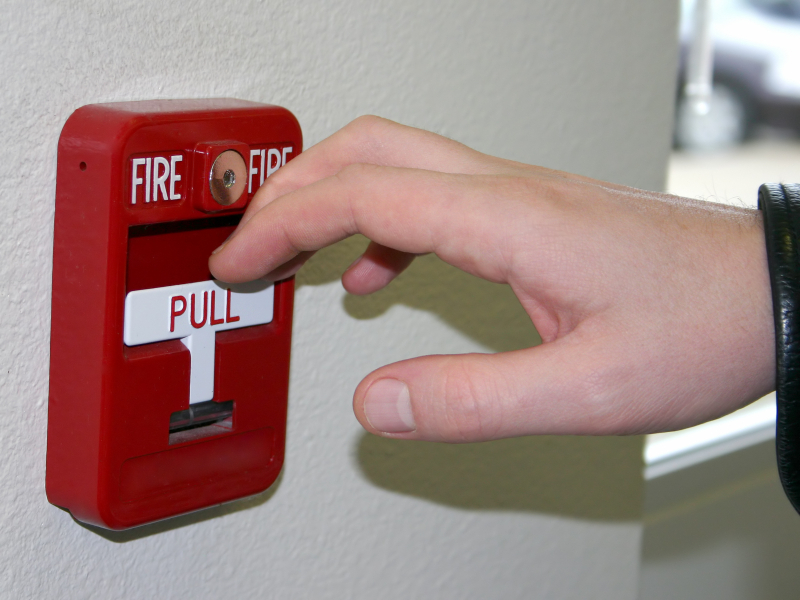 Many commercial buildings require a fire alarm system for life safety purposes. If you operate a large commercial campus with high-rise offices or multiple buildings, your installation will naturally be more complex. What if you could simplify the usability and control of your fire alarm? Thanks to the network solutions available from State Systems Inc., you can! To learn more about our fire alarm network solutions, please contact us at 866-308-5701. We provide services to businesses throughout the Mid-South, including Tennessee, Mississippi, and Arkansas. How Does a Networked Fire Alarm Work? One fundamental component of any fire alarm is the control panel, where large systems have control panels distributed on various floors of different buildings. In a networked system, control panels communicate with one another, allowing individual panels to maintain control of their own points while also monitoring points physically connected to other panels. This allows you to view the entire system from a central location, which can be helpful in various situations. Improved command and control: When you can see the entire system from a single centralized dashboard, your ability to command and control a large, complex fire alarm becomes easier and instantaneous. Lower total cost of ownership: The return on investment from installing a networked fire alarm stems from a reduction in annual monitoring costs. Standalone systems generally require two transmission channels and a central station monitoring agreement per system. Alternatively, networked solutions only need one transmission channel and a single monitoring agreement for your entire facility. Improved survivability: If an individual panel loses communication, all remaining panels continue to communicate with each other. This way, no single component can take out the entire system, making it more resilient. Client server capabilities: This optional feature of a networked fire alarm lets you monitor activity and view information remotely with the appropriate computer software. Historical logging and reports: Administrators can pull up logs and records as well as review previous upgrades and reports of false alarms for all connected devices from the central dashboard. Mass notification integration: If you choose to include emergency communications with your networked alarm system, it can serve as or integrate with your existing mass notification system to deliver critical messages to designated people or groups in an emergency. We are a certified Factory Mutual (FM) company with some of the best fire alarm system designers and technicians in the Mid-South on our team. Contact us today to request an estimate for our design and installation services. Perhaps you already have networking solutions hard at work for your facility. However, you still need system inspections and repairs to keep the equipment in proper working order. We maintain and fix all parts of a networked fire alarm, including control panels, smoke detectors, horns, strobe lights, and more. After an inspection of your fire alarm, we’ll let you know if we find anything in need of repair before we service the equipment. This way, you’re never caught off-guard by surprise costs. If you notice something’s wrong with your networked fire alarm system, or it’s simply time for your next inspection, please contact State Systems Inc. to schedule services today. We also offer 24/7 emergency fire alarm repairs when you need us most. Our fire protection company offers fair, upfront estimates on all of our services, and we never tack on surprise fees at the end. Our technicians will consider all of your fire alarm networking options to help future-proof the installation. Then, in the years to come, we’ll deliver continued inspections and support to keep your network solutions operating smoothly. For answers to your remaining questions about fire alarm networks, or to schedule services for your Mid-South business, please call State Systems Inc. at 866-308-5701 or contact us online today. While you’re thinking about installing a networked fire alarm system, you may also want to consider installing another form of protection for your commercial building: an intrusion alarm system. This system can be customized to integrate motion sensors, smoke detectors, doors and windows, wireless systems, and more to offer your building superior coverage. Call 866-308-5701 to learn more today! Arkansas (AR): Arkadelphia, Benton, Blytheville, Clinton, Conway, El Dorado, Forrest City, Helena-West Helena, Hope, Hot Springs, Jonesboro, Little Rock, Marion, Monticello, Mountain View, Murfreesboro, North Little Rock, Paragould, Pine Bluff, Russellville, Texarkana, and Wynne. For more information about installing networked fire alarms, call State Systems Inc. at 866-308-5701!